Q: I have a credit card with a $30,000 limit, which I used to pay for my daughter's wedding. The interest rate is 5.9%, and I pay more than the minimum payment each month. Last year, I received a letter saying the issuer was going to double the interest rate, and I opted out. I still pay the 5.9% rate on my balance, but I haven't touched the card since then, because as I understand it, if I put any new charges on it, it means I’ve accepted the new rate. I assume when I’ve paid off the balance, the issuer will terminate this card. A: If you put purchases on this card after February 22, the higher rate will only apply to the new charges. But the same new law that forbids banks to raise interest rates on existing balances also says that your monthly payment must be applied first to higher-rate balances. So your new $1,000 charge would be the first money to be paid off, not the last. One caveat: It's not a certainty that you can still make purchases with this card. In fact, if you opted out of the new rate after August 2009, you probably can’t, says Greg McBride, an analyst at www.bankrate.com. But in any case, McBride says you have less reason than you think to be concerned about how this card's termination may affect your credit score. Let's assume for the sake of argument that the card hasn't yet been terminated, even though your account is now technically closed because you've opted out of the new rate. "The impact this has on your credit score really depends on how the card issuer reports to the credit bureaus," says McBride. "And as long as you have an active balance, the issuer will report it as an open credit line.” So the closure won't affect your credit score until the balance is paid off. In the meantime, you’re improving your credit score by reducing your outstanding balance. If your card is terminated after you’ve paid off your balance, your total credit limit and your total outstanding debt will both be lower. The result: Your utilization ratio will be as low or lower than it is now. Q: I dread the thought of credit card companies assessing an annual inactivity fee if you don't use their card. Over the years, I've accumulated several cards -- many from the 1970s when I was newly married. We wanted to establish credit, and card solicitations seemed to arrive in the mail daily. I knew the billing dates for each card, so I could stagger the payments over the month, and sometimes get more than 30 days to pay a bill. I always paid off all cards in full, and I still do. A: You handle your credit cards extremely well, but you're right to be concerned. Some credit issuers are indeed reintroducing inactivity fees on their cards. If yours are among them, you have three choices: 1) pay an inactivity fee for cards you don't use; 2) cancel those cards and risk hurting your credit score; or 3) avoid inactivity fees by using all your cards, thus increasing the risk of adding to your outstanding debt. It isn't impossible to rid yourself of an unwanted card and emerge relatively unscathed, but it takes careful advance planning. Your credit score is based on your past use of credit. The most important factor in this history is whether or not you pay bills on time. That accounts for 35% of your score. The second most important factor, accounting for 30% of your score, is how much of your available credit you actually use. Lenders call this your utilization ratio. If your total available credit is $5,000, for example, and your average outstanding balance is $1,250, you have a 25% ratio. If you have a $3,750 balance, you have a 75% ratio. The more of your available credit you use -- the higher your ratio -- the worse it is for your credit score. A good ratio is 30% or less. If you're maxed out on your cards, you're considered a bad risk. When you cancel an inactive card, you automatically increase your credit utilization ratio. Let's say you have five cards, but only use two. Your total available credit on the five cards is $10,000; your outstanding balance on the two you use is $2,500. Your ratio is therefore 25% ($2,500 divided by $10,000). But perhaps when you cancel the three cards you don't use, your total available credit limit drops to $5,000. Your ratio automatically jumps to 50% ($2,500 divided by $5,000). And that's not the only damage. The length of your credit history -- how long you've had your oldest card, and the average age of all your lines of credit -- accounts for about 15% of your credit score. The longer your history, the better your score. You say you've had some of your credit cards since the 1970s. If you cancel cards you've had for 40 years and keep cards acquired more recently, you'll erase that long track record. A much shorter credit history means a lower credit score. First, don't cancel any of your cards if you know you'll soon be looking for a car loan or a mortgage! That might lower your credit score, driving up the cost of borrowing. For the time being, avoid inactivity fees -- and card cancellations by issuers -- by using all your cards. Make small purchases that you pay for in full every month. You're good at juggling cards, but for most people who have a lot of cards this advice isn't easy to follow. If you have 12 cards, making sure you use each one every month and pay all the balances on time can soon become a bookkeeping nightmare. Second, after you get your car loan, plan your card cancellations very carefully to minimize the damage to your credit score. Think of yourself as David mapping out a campaign against Goliath. Make a master list of the inception dates and credit limits on each of your cards, bearing in mind that the most important cards to keep are the oldest and those with the highest limits. Before you cancel a card, take steps to lower your utilization ratio. You can do that by temporarily reducing your average outstanding balance and/or by getting a higher credit limit on one of the cards you intend to keep. If you lower your ratio before canceling a card, the cancellation may only push it back up to where it was before. Remember, too, that credit scores are constantly updated. So even if your score takes a dip after you cancel a card, it can recover before you need to apply for another loan. Is This the End of Credit Card Rewards Programs? 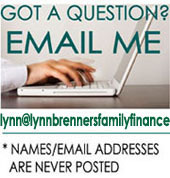 Q: I charge virtually everything on my credit card -- groceries, gas, subscriptions, clothing, gifts, etc. I pay no annual fee. I pay no finance charges because I pay my balance in full before the due date. I get air miles with no restrictions. The card issuer checks my account for suspicious charges, and sends me an annual print-out at tax time and numerous mailings during the year. A: ‘Free ride’? Give me a break! Credit card companies make a ton of money on customers like you. Despite their threatening noises, I doubt they’ll risk losing your business by taking away all your perks. Congress is about to enact a new law that will curb some of credit card issuers’ most outrageous practices. You haven’t suffered from these practices because you pay your balance in full; but they've trapped millions of Americans into ever-spiraling debt. Under the new law, card issuers won’t be able to retroactively change the interest rate on an existing balance until the account is at least 60 days delinquent. And they won’t be able to let you go over your credit limit and then charge you a fee for it, unless you’ve specifically agreed to pay for over-the-limit transactions. One thing the law won’t do is cap interest rates. Card issuers can still raise them – just more slowly, and with greater disclosure. Nevertheless, the credit card industry is unhappy about the new restrictions. Some industry spokesmen have said card issuers will make up lost revenue by imposing new charges on cardholders who pay their balances in full. They’ve even had the gall to suggest that until now people like you have been enjoying a free ride. Want to know how these companies make money? Their biggest chunk of revenue is the interest paid by people who carry balances -- an estimated 60% of all cardholders. Then there are cardholder fees: annual fees, late payment fees, over-the-limit fees, etc. (And until the new law takes effect, paying your credit card bill even a day late can automatically trigger a higher interest rate on your outstanding balance.) Issuers even charge you a $5 to $15 fee for the privilege of paying your balance on time by telephone – another practice the new law will ban. But they also have another important source of revenue: They collect fee income from every merchant who accepts credit card payments. And that’s where customers like you come in. The card issuer gets about 2% of every dollar you charge on your card, says Greg McBride, an analyst at www.bankrate.com. When you make a $100 purchase, the merchant only gets $98. The credit card issuer gets $2. You can be sure that merchants add this extra 2% cost right back into your purchase price whenever possible. Merchant fees are the credit card industry's second biggest source of revenue, says McBride. It’s an especially valuable source of revenue, too – because it’s stable and predictable. The card companies' interest income is bigger, but it fluctuates along with interest rates. That's why your credit card issuer has gone out of its way to keep you happy: You put everything on your card -- and your purchases generate a steady stream of merchant fees. My prediction: most card issuers will stop short of changing their fees and rewards in any way that would seriously risk losing that income to a competitor. How Far Can A Collection Agency Go to Collect A Debt? A: The quickest way to get the collection company to stop calling is for your son to respond to them. His first step should be to ask them to send him a written statement that includes the amount they say he owes, the name of the creditor, and the procedure he should follow if he thinks that in fact, he doesn't owe this debt or has already paid it. Everyone who gets a call from a collection agency should request all this information in writing. You’re legally entitled to receive it under the federal Fair Debt Collection Practice Act. The same law prohibits collection agencies from calling you at home at ‘unreasonable’ times. That means they can’t call before 8 a.m. or after 9 p.m. The law also says they can't call you at work at any time if you ask them not to. It's also illegal for them to curse, insult or threaten you. They are allowed to call your friends, neighbors and relatives -- but only in order to locate you. They can't call these people repeatedly. And unless they have your permission to do so, they can't tell anyone except your spouse, lawyer, or cosigner that you owe a debt. If a collection agency violates any of these rules, you should complain to the New York State Attorney General's office (at 1-800-771-7755) and/or to the Federal Trade Commission (at 1-877-382-4357). If you had the time and the money, you could even hire a lawyer and sue a collection agency for breaking the law. To get creditors to stop calling you, you have to send them a 'cease and desist' letter. The letter should say that according to the Fair Debt Collection Practices Act, you are requesting that they stop communicating with you. You can explain your situation. (For example: ‘I recently lost my job and can’t pay this debt until I find a new one.’) Be sure to include your name, address, account number, and the name of the creditor. The law says that after the collection agency receives that letter, it can call you one more time to let you know what action it intends to take in response. "Creditors have rights, too," says Heath Berger, a Woodbury New York bankruptcy attorney. "They can sue you, and if they get a judgment against you, they can garnish your salary, take a bank account, or take your car and sell it to get their money." If your son does owe this debt, the best solution may be for him to negotiate an agreement to repay it, perhaps in very small amounts over an extended period of time. You don't say whether you and/or your spouse co-signed for your son’s debt. If you did, you should know that the creditor can demand payment from you, says Anthony Sabino, a Minneola New York bankruptcy lawyer. Many people don't understand that a lender can collect from anyone who signed the loan document. Or they assume that the lender will only come after them as a last resort. But co-signers often are the first target, not the last. The reason is simple: They’re easier to collect from. The co-signer has financial resources and a track record of paying bills. The primary borrower doesn’t; that's why he needed a co-signer in the first place. If you co-signed for a loan, the lender can sue you to collect payment, win a judgment, and sell your assets to recoup what you owe. So if you did co-sign for your son’s debt, you should pay it. And then you should make a written agreement with your son for when and how he will repay you.